4 years ago in Puppycide research Glenn Durden ~ read. 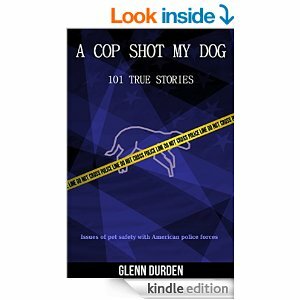 Author Glenn Durden has written a book, A Cop Shot My Dog: 101 True Stories, investigating shootings of dogs by police all across the US. Durden's independent research mirrors a number of the early results of the Puppycide Database Project. We haven't had the opportunity to read through the entire book, but we look forward to finishing it (and hearing what other readers think about Durden's Project. A Cop Shot My Dog is available through Amazon.